Christopher “Tricky” Stewart has hinted at a new collaboration with Ciara. “We go back. 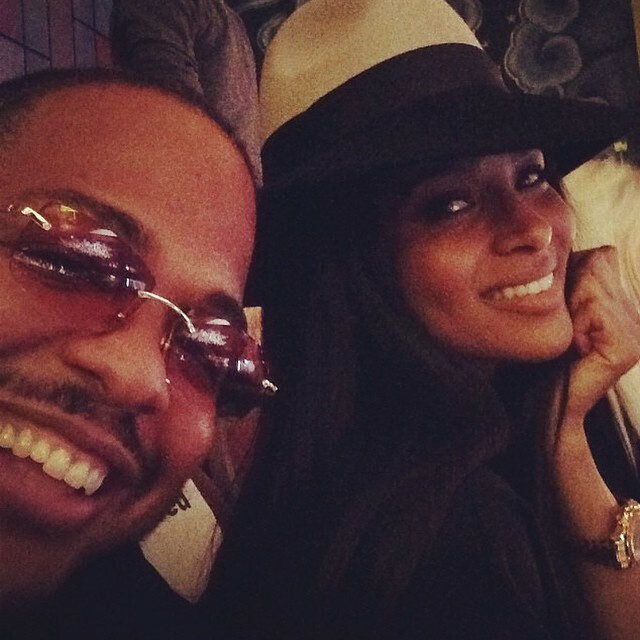 @Ciara this is a old one,” he posted via his official Instagram account on Saturday (January 10, 2015). His extensive resume includes additional works for Rihanna (“Umbrella”), Beyonce (“1+1”), Mariah Carey (“Obsessed”), Nicole Scherzinger (“Your Love”), Celine Dion (“Skies of L.A.”) and Tamar Braxton (“Stay and Fight”). Meanwhile, Ciara is confirmed to release her sixth album later this year via iTunes in partnership with Sony Music Entertainment / Epic Records. For the highly-anticipated new project, the “Overdose” star has reportedly teamed with Dr. Luke, Rock City, Henry “Cirkut” Walter, Polow Da Don, Mike Will Made It, Kenneth “Soundz” Coby, Diane Warren and Harmony Samuels. Watch the music video for “Ride” below. Bonnie McKee has unveiled a new music video online. The singer/songwriter posted the festive visual clip for “California Winter” to her official Vevo page on Saturday (December 20, 2014). McKee also hinted at a new collaboration with Taio Cruz. She previously co-wrote “Dynamite” for Cruz along with Max Martin, Lukasz “Dr. Luke” Gottwald and Benjamin “Benny Blanco” Levin. The track peaked at number two on the US Billboard Hot 100 Singles Chart. Her extensive resume boasts further works for Britney Spears (“Hold it Against Me”), Carly Rae Jepsen (“Turn Me Up”), Nicole Scherzinger (“Tomorrow Never Dies”), Leona Lewis (“Unlove Me”) and Ellie Goulding (“Under Control”). His songwriting skills can be heard on David Guetta’s “Without You” featuring Usher [Capitol Records], Cheryl Cole’s “Mechanics of the Heart” [Polydor Records] and Jennifer Lopez’s “I’m Into You” [Def Jam Recordings]. Watch the music video for “California Winter” below. Nicole Scherzinger has premiered the music video for her new single online. The singer/songwriter posted the visual clip for “Bang” to her official Vevo page on Monday (December 15, 2014). Scherzinger’s sophomore album “Big Fat Lie” is now available for download via iTunes in partnership with RCA Records UK. Meanwhile, fans of The-Dream and Tricky Stewart should look out for the duo’s songwriting and production works on the next projects by Tamia [Def Jam Recordings] and Madison Beer [Island Records]. Watch the music video for “Bang” below. Nicole Scherzinger has unveiled the music video for her new single online. The singer/songwriter posted the visual clip for “Run” to her official Vevo page on Friday (November 14, 2014). “Run” was written by Felix Snow and Justin Tranter along with Julia Michaels, whose resume includes works for Selena Gomez [Interscope Records], Demi Lovato [Hollywood Records] and GRL [Kemosabe Records]. The track is lifted from the artist’s sophomore album, “Big Fat Lie,” now available for download via iTunes (UK) in partnership with RCA Records. Watch the music video for “Run” below. 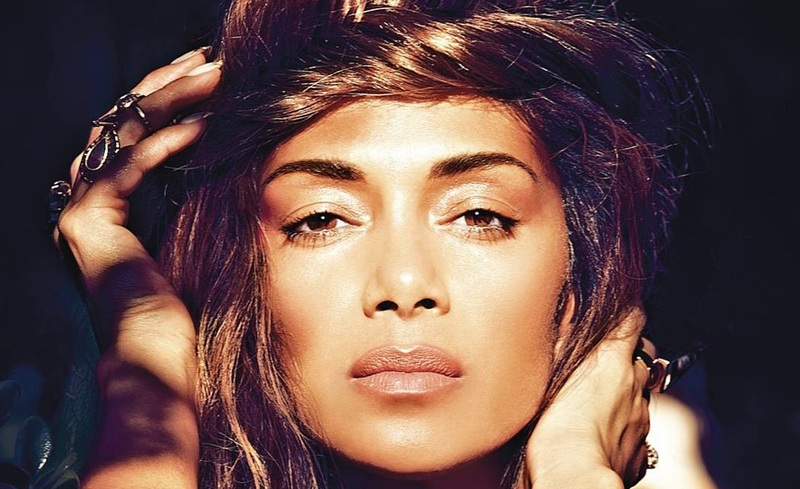 Nicole Scherzinger has debuted her new single online. The singer/songwriter posted the audio clip for “Run” to her official Vevo page on Tuesday (September 30, 2014). “Run” was written by Justin Tranter and Felix Snow along with Julia Michaels, who is also responsible for co-writing Kat Graham’s “Power” [A&M / Octone Records] and Fifth Harmony’s “Miss Movin’ On” [Syco Music / Epic Records]. In the United Kingdom, Scherzinger’s current single “On the Rocks” will be available for download from October 12 via iTunes. Previous single “Your Love” – produced by The-Dream and Tricky Stewart – peaked at number eight on the UK Singles Chart. “Big Fat Lie” is scheduled to hit stores and digital outlets in the United Kingdom on October 20 via RCA Records. Listen to “Run” – out now via iTunes (US) – below. Nicole Scherzinger has unveiled the official artwork for her new single online. The singer/songwriter dubbed “Run” as the first US promotional single from her sophomore album, “Big Fat Lie,” out soon via Epic Records. Watch the music video for “On the Run” below.